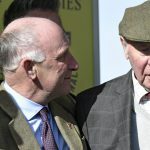 Owner-breeder Anthony Oppenheimer has an exciting prospect for the 2019 Flat season after his homebred Star Catcher scooted to an impressive success on her seasonal reappearance at Newbury on Friday. The three-year-old, trained by John Gosden, had made her debut in a mile maiden on the all-weather at Chelmsford in September. Stepped up in trip to 1m2f, the filly kept a prominent position under jockey Frankie Dettori. At the three-furlong marker, Dettori asked Star Catcher to assert herself and she duly did so, leaving her rivals for dust to win by four and a half lengths. 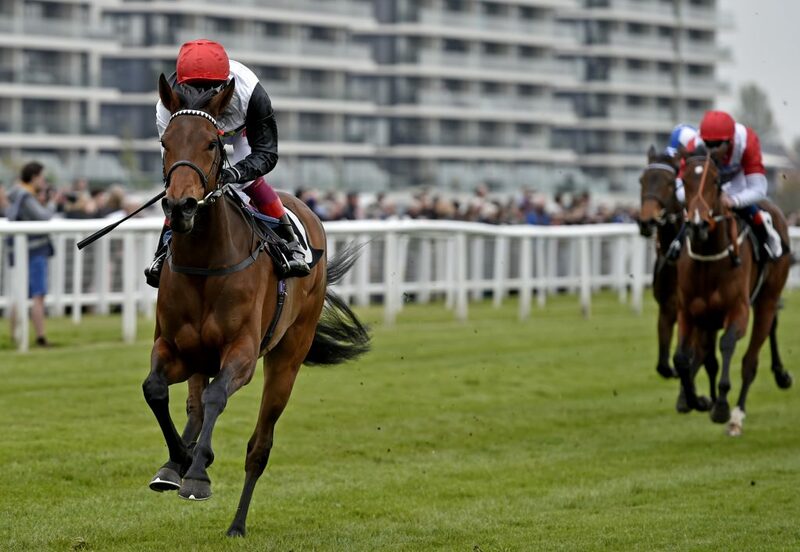 Gosden said: “She’s still got a lot of strengthening and developing to do. She handled the ground well and you had to handle the ground well today, as it’s very holding ground. Star Catcher was bred by Oppenheimer out of the Horse Chestnut mare Lynnwood Chase and is a half-sister to the Grade 1 Canadian International hero Cannock Chase and the Group 2-winning Pisco Sour. Oppenheimer explained how Lynnwood Chase became part of the broodmare band at his Hascombe and Valiant Studs: “I bought the dam from Arqana and she was by the South African horse Horse Chestnut, which my cousin owned in South Africa. “I wanted something by Horse Chestnut and I went and bought this quite small mare – she was utterly useless. But I kept her and she’s produced me one Group 1 winner and another Group winner as well. “I bought Star Catcher as a foal. It was a foal share so I was really buying back the other share, but I knew she was quite something. I have a very nice Frankel out of Lynnwood Chase coming along next. Star Catcher’s sire is multiple top-level scorer Sea The Stars, whose top-class fillies include Oaks heroine Taghrooda and last year’s Prix de l’Arc de Triomphe runner-up Sea Of Class. Up-and-coming trainer Charlie Fellowes looks to have a promising colt on his hands in the shape of King Ottokar, an impressive winner of the Dubai Duty Free Golf World Cup British EBF Conditions Stakes. Much of the talk before the race surrounded Juddmonte’s 2,000 Guineas and Dante entry Headman and Godolphin homebred Space Blues, whose entries include the Dante and the Derby. That pair failed to sparkle in the 1m2f race, and it was King Ottokar who picked up best to run on strongly in the final furlong to score an authoritative one and a half-length victory over Dashing Willoughby. Owned by Susan Roy, King Ottokar was bred by Haras du Quesnay, who stands his sire Motivator, and was a €280,000 purchase from last year’s Arqana Breeze-Up Sale by Charlie Gordon-Watson. The colt is out of the Listed-winning Anabaa mare Treasure and is a half-brother to the winners Tresorerie and Tresorier. First-season sire Gleneagles enjoyed the perfect start to the 2019 Flat season when his very first runner, Highland Chief, hit the bullseye in the opening juvenile maiden over five furlongs. The colt was comfortable in mid-division and it was during the final furlong that he had to knuckle down in a duel with the Richard Hannon-trained Separate. The Paul Cole-trained Highland Chief responded to the pressure and saw off his rival by a neck. A Fitri Hay homebred, Highland Chief is the fourth foal out of the Group 3-winning Montjeu mare Pink Symphony, with the further family including the Group 3 two-year-old heroine Fantasia and Cheveley Park scorer Blue Duster. Gleneagles was a crack two-year-old himself, notching five consecutive wins that culminated with his first top-level accolade in the Goffs Vincent O’Brien National Stakes. At three he added more Group 1s to his CV in the 2,000 Guineas, Irish 2,000 Guineas and St James’s Palace Stakes. The son of Galileo out of You’resothrilling (she was a sister to the ‘Iron Horse’ Giant’s Causeway) has 109 foals for his debut crop and he is standing the 2019 breeding season at Coolmore at a fee of €30,000. Before racing got underway for the first day of Dubai Duty Free Trials weekend at Newbury on Friday, rising star Jason Watson was unveiled as the course’s new Flat ambassador for the 2019 season. Watson captured the apprentice jockeys’ title last year and notched over 100 winners in his first full campaign, with highlights including wins in the Stewards’ Cup at Goodwood and a Group 1 victory in Italy. The 18-year-old suffered a setback earlier this year after a fall at Kempton, which put him out of action for a few months, but he recently returned to the saddle and secured his first win of the season aboard Forbidden Planet. His ambassadorial role will see him front Newbury’s junior membership club ‘Club 24’, which is open to anyone aged 18-24 at a fee of £10 a month, as a way for young racegoers to enjoy Premier Enclosure access to all 29 fixtures at the course. Watson will also provide a regular blog for the course where he will share his thoughts on his rides and runners at the track, plus take overs of Newbury’s social media channels and much more. He said: “I’m very excited to be taking up this role with Newbury racecourse. It’s one of the most prestigious racecourses in the country and is a favourite of mine.